Tens of billions of dollars are involved in a long list of grant programs that involve primary recipients making awards of federal dollars to other organizations. So, it is not surprising that the Office of Management and Budget, in its uniform guidance or so-called “Super Circular,” sought to provide clear guidance about when a “lower-tier” organization is to be treated as a subrecipient versus as a contractor. 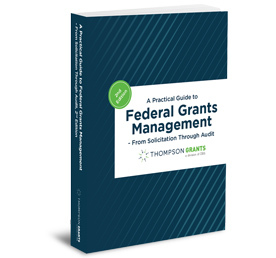 Making the correct determination when using federal funds has significant management and oversight implications. It’s one thing if a relationship involving federal funds is being forged for the first time, but it’s quite another when the parties have been engaged with one another for years. When you look at the agreements that govern these longstanding arrangements through the prism of the revised federal guidance, the exercise can be daunting and the conclusions uncertain. Differences between a subrecipient receiving federal assistance versus as a contractor being paid for goods and services. Distinctions between “assistance” and “procurement” relationships, and why that’s important. How the attributes of a relationship as cited in the federal rules are just the start of the determination. Whether the types of organizations involved has any bearing on the proper determination. Which federal laws and executive orders flow to subrecipients — and which ones don’t. Which federal laws and executive orders apply to contractors — and which ones don’t. How to engage in an informed dialogue with other stakeholders about your decisions. The oversight implications once the determination is made. You’re probably not starting from a standing start in most of your “lower-tier” federal award relationships. Join Bob Lloyd, principal of Federal Fund Management Advisor™, to get practical help in how to realign what you have been doing with what you should be doing going forward.